Your rewarding career at B&B awaits! 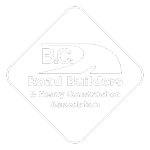 With the B&B Contracting Group, you can expect career growth, a highly competitive wage, excellent benefits, and a job you will look forward to working at each day. What are you waiting for? Apply today! Our company is continually growing and always accepting applications. Don't see a perfect fit? No problem! You can submit your resume as a general applicant and we will give you a call as soon as we have an opening that suits your skill set.